The versatility of yoghurt is infinite. It adds softness to flatbreads and richness to cakes. It’s natural lactic acidity is the perfect foil for spicy curries and tajines and spoonfuls dolloped on top of pancakes and puddings add an alluring a touch of decadence. Yoghurt is luscious as the base for a summertime ice-cream, is indispensable in smoothies and adds a savoury creamy element to dressings and dips. I could rave for hours about the usefulness and versatility of yoghurt, but let’s be clear, it’s the tangy natural product made by innoculating whole milk with live cultures I’m talking about. We’ve been eating a lot of food based on the flavours of the Middle East lately, so it was inevitable that I make labneh, essentially natural yoghurt thickened by draining off the whey. I usually drain my yoghurt for about 12 hours which leaves the yoghurt mass a spreading consistency similar to cream cheese. I love it’s fresh acidity plain, and enjoy it for breakfast spread on sourdough toast and topped with sweet juicy tomato or cucumber, a grinding of black pepper and a drizzle of olive oil. A little honey or maple syrup and a scraping of vanilla bean beaten into labneh makes it the perfect substitute for fresh whipped cream with fruity desserts. Add some coarsely ground almonds and it’s a wonderful dessert in it’s own right, especially with sweet ripe D’anjou pears. From my recent batch of labneh, I tried out an interesting and totally delicious dip from Greg & Lucy Malouf’s book of modern Middle Eastern vegetarian food, “New Feast.” Turkish-style carrot labneh is simply shredded carrot briefly cooked in oil and butter, seasoned with lime and chilli and then beaten into the labneh. It’s both sweet and savoury, very very delicious. I’ve made a couple of minor changes to the original recipe. Line a sieve with a square of muslin or a piece of new Chux cloth. Spoon 1kg of natural unthickenedyoghurt into the strainer. Stand it over a deep bowl or jug. Leave the yoghurt in the refrigerator to drip for a minimum of 4 hours. The longer you leave the yoghurt the thicker it will become. The whey that drains off can be used to make pancakes or used in bread baking. Heat the butter and oil in a wide pan, add the carrot and asafoetida and sweat slowly for 5-7 minutes or until the carrot softens. Stir in the salt, pepper, chilli and lime zest. Set aside to cool. Put the labneh into a bowl with the cream and cooled carrots then beat it with a wooden spoon until well combined. The umami flavours will develop if the carrot labneh is chilled overnight although it’s best to enjoy this delicious spread at room temperature. Hi😀and congratulations for your recipes! I lived in Turchey for 4 years and I tasted many dishes…. BRAVA! When you want, the door of my kitchen is always open, you’ll be welcome! Labneh, for me, was a gateway dish. Once I began making it, the door opened and I started making a number cheeses. I’m glad you posted this, though, Sanfda. I’d forgotten all about it. 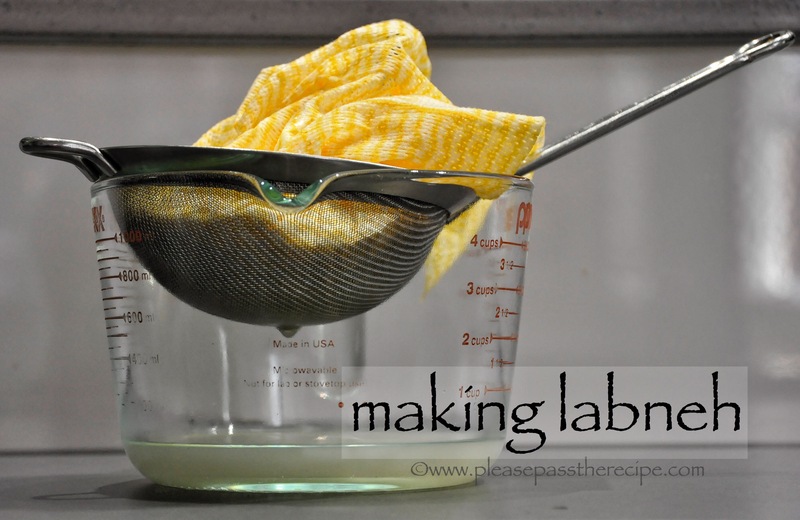 Making your recipe would be a delicious way to get reacquainted. Thanks! Thanks John. I’ve made ricotta but cheese is one avenue I’ve never explored in the kitchen, too easy to buy excellent locally made products. I will try your basic recipe. I tend to always drain yogurt before I use it, but not to make actual legend. But with the carrots I cann’t wait to make it!!! Could not live without yogurt, have sometimes made my own labneh . . . but am truly enthused by this recipe: now this also would be just great for breakfast, in my case oft with black Nordic bread. Asafoetida [hing powder and there are a couple of types] was new to me until a famous vegetarian chef with a TV series a decade or so back kept on using it in so many dishes – it DOES make a difference and is freely available on line in Australia. Thanks Eha. I had this carrot labneh for breakfast this morning, on toast, my homemade spelt sourdough. It was delicious with sliced cucumber in top. It was yum, I have never liked cereal…. I have just added this to my ‘to do list’. How good does that look? The tempting orange shreds in that labneh deliciousness. Mmmmm…. I’ve pinned this one, sounds delicious. Thanks Ardys, it is. Can you tolerate yoghurt? Lovely variation on the labneh theme, definitely one to try. I love the idea of carrot labneh- another bookmark for my return. Still too much lactose left for my very irritable insides, hence making my own. I have fenugreek and garlic, I’ll put it on the Must Try list! Really love these flavours (and you generally can’t go wrong with the Maloufs). Just how different is the labneh you describe from thickened Greek yoghurt? This type of Greek yogurt is labelled as staggismeno which often translates as yogurt ‘cheese’ – derived from the Greek verb staggisto which means to strain. I expect they are the same. Here in Greece you can get thick natural ‘pot set’ yogurt that definitely has that acidic edge. Now, big commercial brands are a different story! 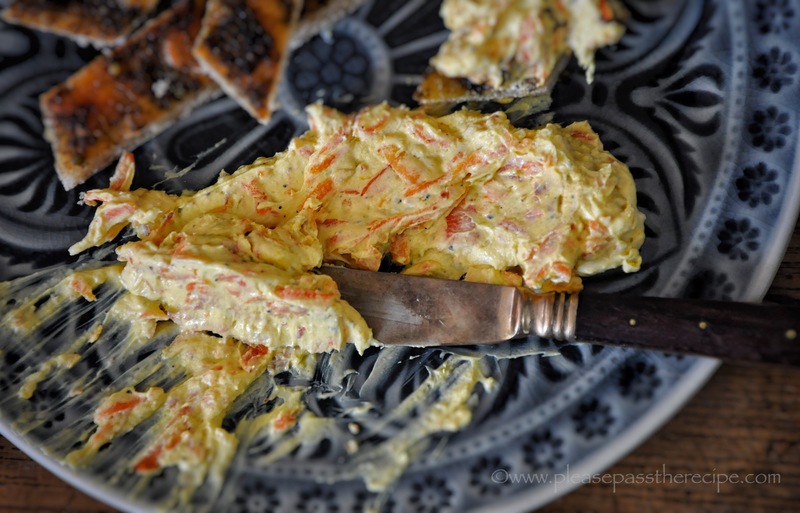 This entry was posted on August 4, 2016 by ladyredspecs in Dips and Spreads, Food, Gluten Free, Side Dishes & Salads, Snacks and tagged carrot labneh, labneh, Turkish, yoghurt.